You receive i-Size security with the Maxi-Cosi AxissFix. This car seat combines the latest i-size safety standards with a unique 360° swivelling seat for maximum ease of use. In just a few seconds you can comfortably strap in your child, because the car seat can be turned towards you. Another turn and you can use the seat facing forwards or rearwards (up to 87 cm). 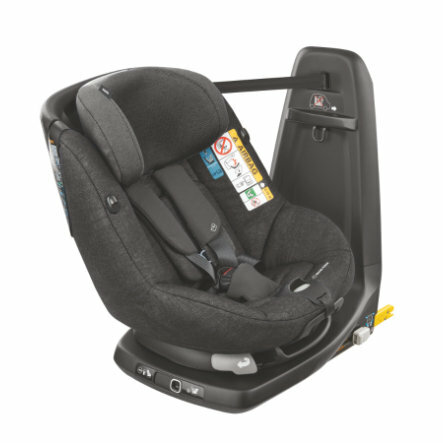 This allows rear-facing travel for up to 2 years and provides additional head and neck protection. Afterwards, your child will continue driving safely in a forward-facing position up to approx. 4 years (105 cm). In addition to the simple Isofix installation, AxissFix also offers you and your child much additional comfort.